At Aime's Auto Parts (1988) Ltd, we offer a complete selection of quality recycled automotive and truck parts for all makes and models. From exterior parts such as body panels, bumpers and grilles to motors, starters and transmissions we maintain a well-organized inventory that lets us find the right part quickly and efficiently. Learn more about our 90-day warranty. See what we have to offer, visit us in Winnipeg. View what we have available in our current stock before coming by our location. For your convenience, we offer an easy-to-use online search function that allows you to scroll through our complete inventory from the comfort of your home, desk or garage! 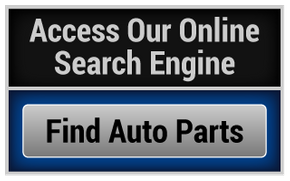 See if we have the part or accessory you need for your make and model—click here to access our online search engine. For more details, please don't hesitate to call us at 204-257-0858 or toll free at 1-800-821-5716.